LinkedIn is universally respected in the business world for its ability to bring professionals together. Originally, the network was very strict about managing connections. Only people who had done business or gone to school together were allowed to be connected. If a person was a stranger to you, LinkedIn shunned adding them as a connection. However, this may have all changed. A LinkedIn connection was once almost as personal (while still being professional) as a Facebook connection; however, recent news is reporting that Klout scores are available fore LinkedIn users. Will this mean users will embrace LinkedIn with a game-like sense? I’m not going as far to say users on LinkedIn will begin exploiting connections to gain Klout, but users on Twitter are already tweeting about raising their Klout score quite often. We may see a paradigm shift in the sole purpose of LinkedIn. A Klout score is best compared as a social popularity ranking. Users are given a score based on their influence, engagement and reach. Tweeting more, getting more followers, and socializing raises your score. Originally, the platform only measured Twitter, but has since moved to add Facebook and LinkedIn. Engagement on these platforms is crucial and as LinkedIn pushes “mainstream”, companies may be keener on sharing content via LinkedIn. 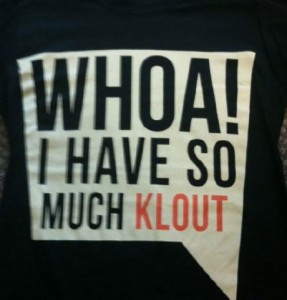 The question remains, does Klout signify a change in philosophy or does it even matter? I know a good deal of people who pride themselves on their Klout score; I’ve even seen a Klout score given on a resume. Does failure to engage on LinkedIn hurt your score? Will people start adding strangers as connections the same way we follow people on Twitter? Impersonalization with the opportunity to socialize is why Twitter is popular. However, LinkedIn has been raised as a network that carries trust, authority, and hierarchy. I definitely embrace the fact that LinkedIn is pushing mainstream, but I hope they keep cultivating the “working professional” niche; instead of going to the Facebook route and marketing to the 6 billion people in the world. About the author: Matt Krautstrunk is an expert writer on everything from social media marketing to telemarketing companies based in San Diego, California. He writes for Resource Nation, an online resource that provides lead generation advice on purchasing and outsourcing decisions for small business owners and entrepreneurs.